When it comes to over-the-knee (aka OTK) boots, the options are endless. Here are our top 30 picks for every budget. 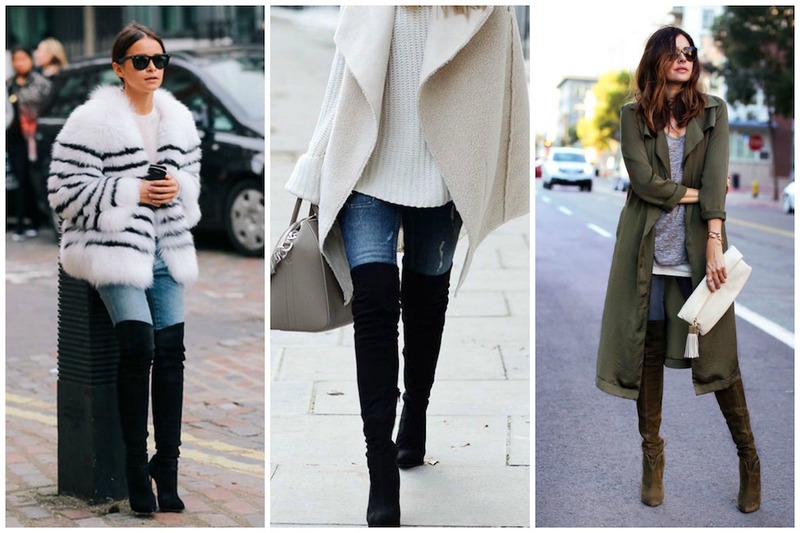 When it comes to over-the-knee (aka OTK) boots, the options are endless. This is a style that has been around for a while, but it’s become more and more popular the past couple years. And continuing this season, we’re seeing them everywhere! Undoubtedly, we’re fans, as evidenced here and here, among other places. OTK boots are, quite simply, thigh high boots that cover the majority of your leg. Indeed they are great for the cooler months, as they help to keep your legs warm! Plus, they are show stoppers for sure, especially when paired with the right outfit. 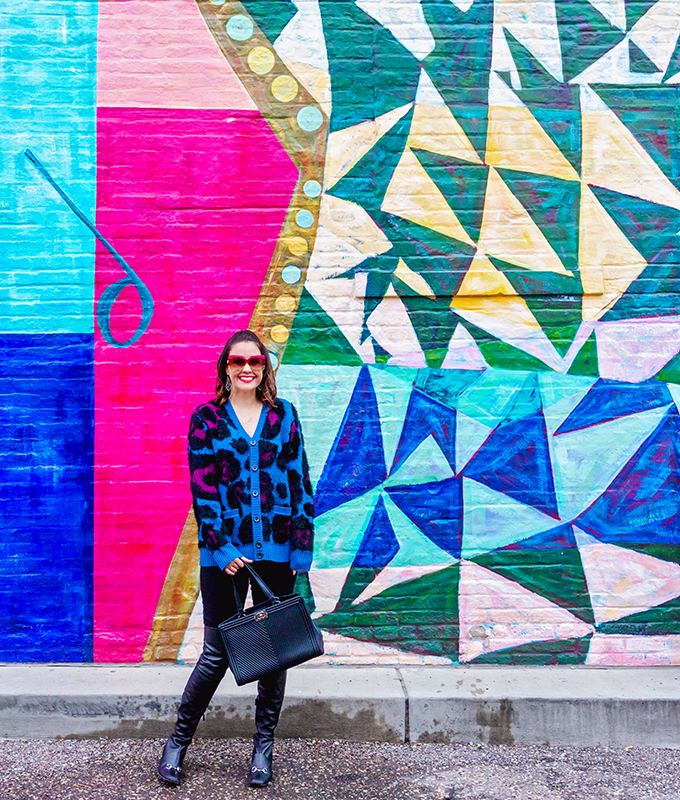 You can find OTK styles in all fabrics (leather, suede, velvet, and more) and at all heel heights and types (flat, block heel, stiletto, and the list goes on). 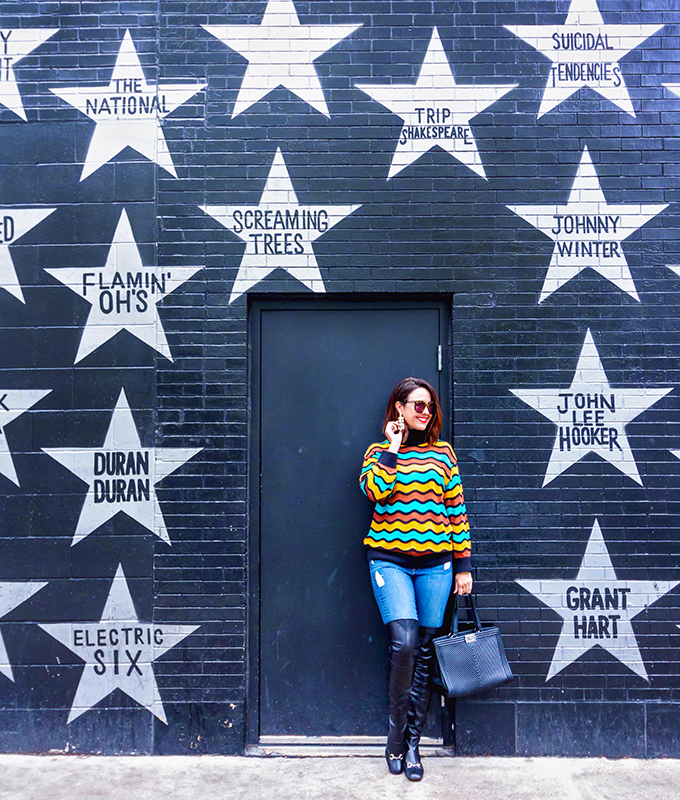 Whether you are just trying out the trend and don’t want to spend too much or if you want to splurge because you plan on living in these boots all fall and winter, there are options for you. And great options, at that. 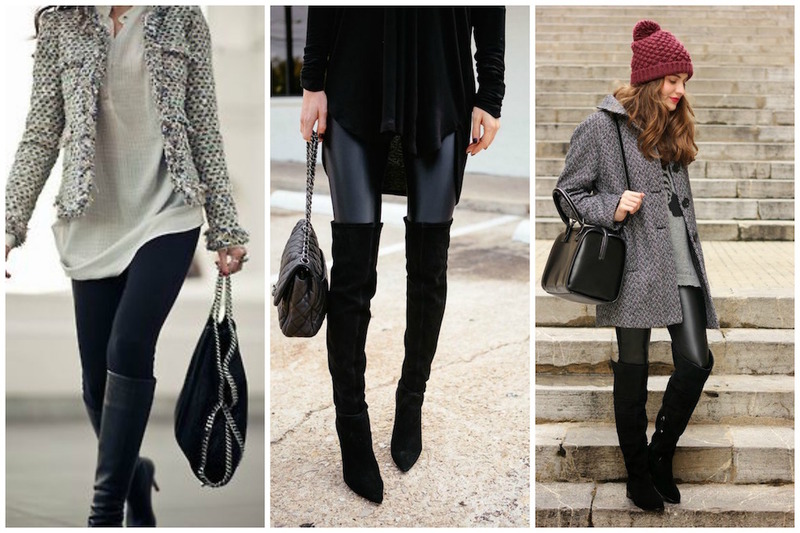 In fact, spoiler alert: keep reading for our 30 favorite over-the-knee boots for any budget! 1. 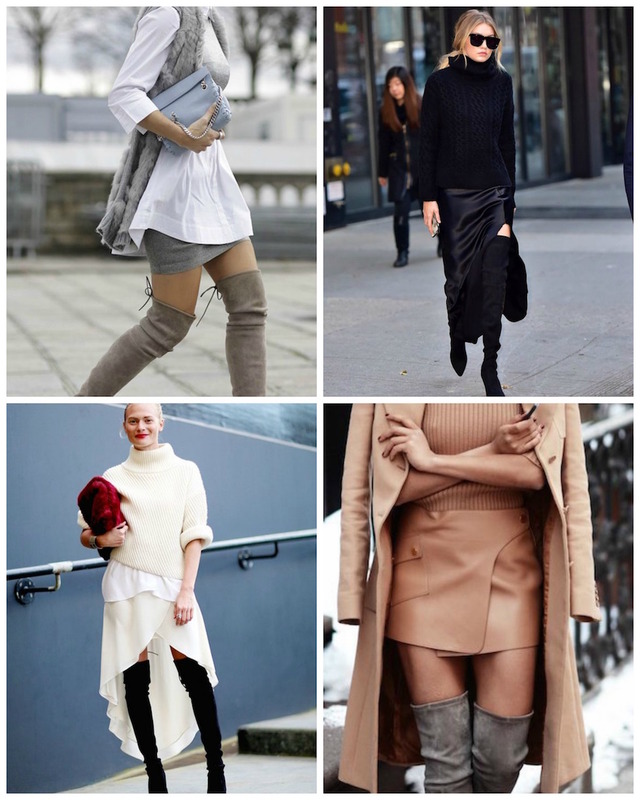 Since OTK boots can take on an edgier, avant-garde look, a great way to ease into the trend is to start with an oversized sweater dress. While the boots are thigh high and tight, the loosely fitting dress will offset the form fitting look of your bottom half. 2. If it’s daytime and you’re looking to wear a skirt with the boots, you might want to opt for a pencil skirt or something other than a short skirt. For night, it can be fun to take it up a notch and wear a shorter hemline but while the sun is out and work is in session, longer lengths will be best. 3. If you are showing your legs (which is totally ok of course), keep it more covered up top. Like many things in life, it’s all about balance. 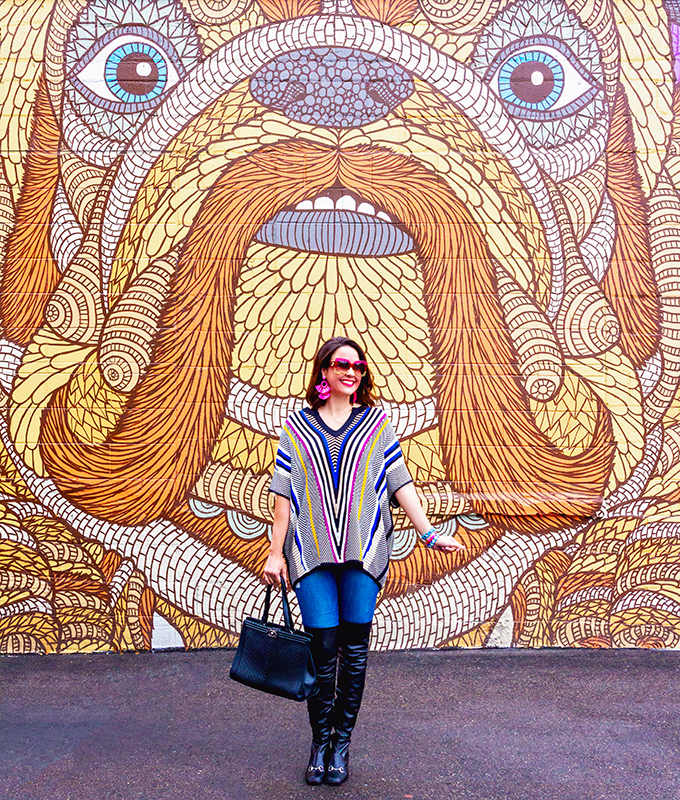 Especially if you are going for a more casual look, you can throw on an oversized coat or a shirt with sleeves. Furthermore, leather riding OTK boots can dress down a look in a very cool way, so don’t think you have to just get form fitting, high-heel styles. 4. If you’re on the shorter side, you can absolutely still rock OTK boots! However, I’d stick to form fitting pants (think skinny jeans, leggings, and so on) and a top that shows off your waistline, as to elongate the look of the body. Since the boots can be overpowering, you want the other components of your outfit to work with them. 5. This might go without saying, but make sure the fit of the boot works for you. Make sure to walk around in them inside before wearing them out. You want to ensure they aren’t too tight around your thigh and that they hit in a comfortable spot for you. Now, for the good part… Options for everyone! 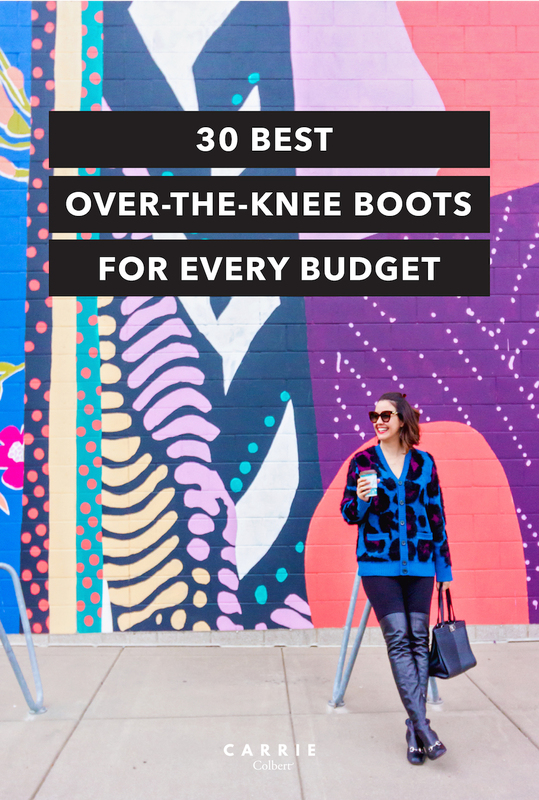 Shop our 30 favorite OTK boots at every price point below. Just as a point of reference, we’ve categorized “save” as anything under $200, “sensible” as anything between $200 and $500, and “splurge” as anything over $500. So, get to browsing! Happy shopping. Do you own OTK boots? What’s your favorite way to wear them? 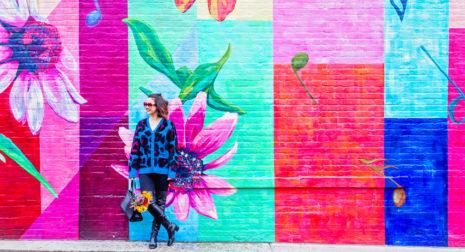 If you haven’t tried this trend out, do you think you’ll give it a go this season? Let us know in the comments below!